Trailblazer Fleece Sleeping Bag / Liner - Black | BUDK.com - Knives & Swords At The Lowest Prices! 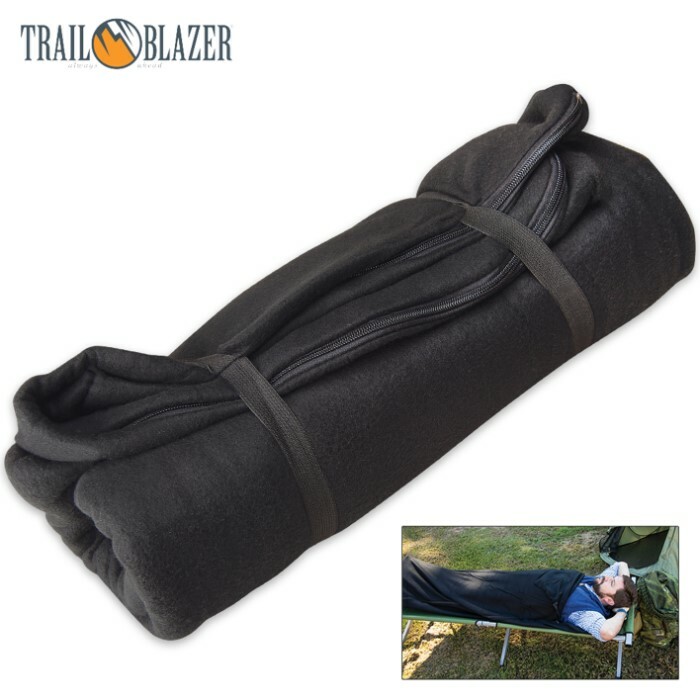 Lightweight, durable and easy to pack, Trailblazer's Fleece Sleeping Bag is perfect for home, summer camping, travel, sporting events and much more! It has a temperature rating of 50 degrees Fahrenheit and boasts extraordinary versatility. Use it alone during warmer conditions, and when the temperature drops, pair it with another sleeping bag as a snug liner. You can also zip it to a second bag for twice the space, thanks to its sturdy, all-around metal zipper. Made of double-brushed fleece pile, this Trailblazer favorite is remarkably soft and durable, providing you with years of premium comfort from a surprisingly affordable sleeping bag. And don't fret muddy summer camping conditions; this tough bag is machine washable and requires only basic, straightforward care. At 75" x 32" overall, it comfortably fits individuals up to 6' tall and conveniently rolls up to a compact 16 1/2" x 5" x 5" for easy storage and transport. 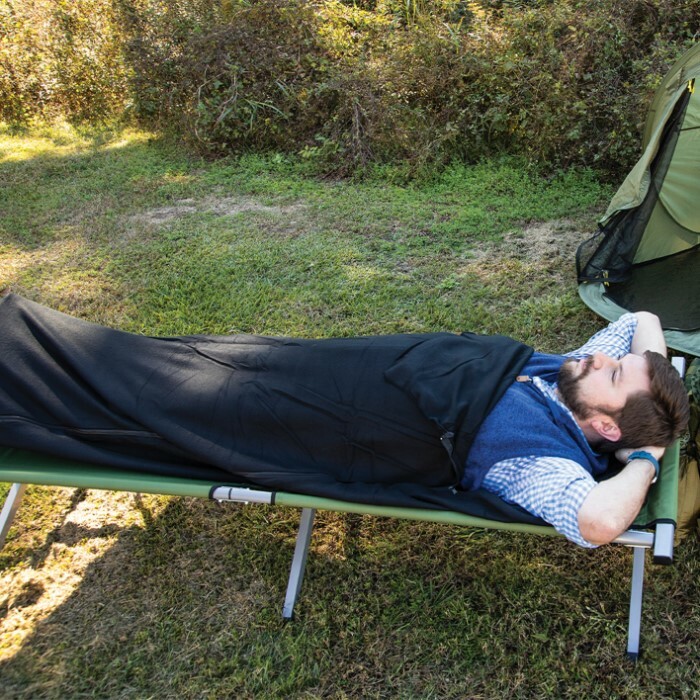 With so many outstanding features and such a modest price tag, Trailblazer's Fleece Sleeping Bag is the ideal choice for all your outdoor adventures! 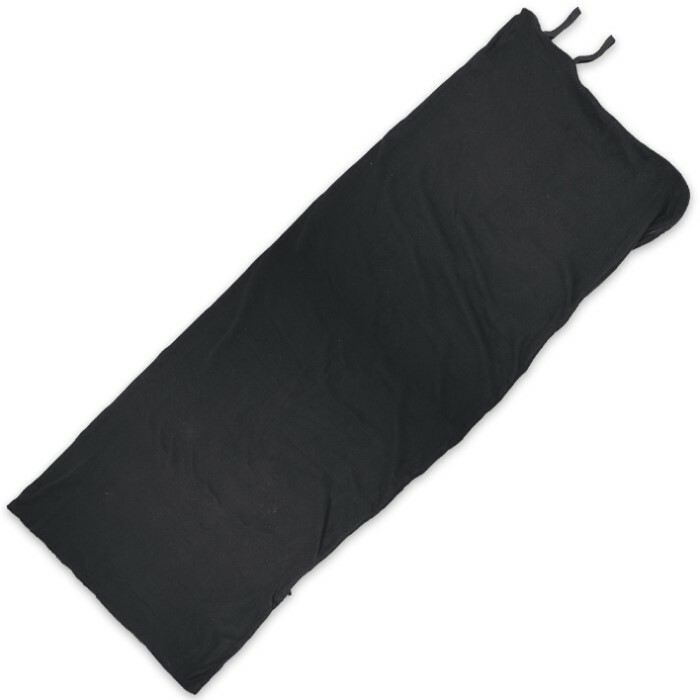 Great product, perfect as a good quality sleeping bag insert. This item was great and just in time for winter, i would recommend this to anyone in cold areas.